3 day DHL shipping & handling, only $45. Shipping April 2018, no limit on orders. Ability to customize the case by changing out the Core Plate. You will get accents on the keyboard in the color or material you want. All this for the same price as the original Klippe. - better fitment by adjusting the screw holes for modern PCBs. Add a Mirror Finish Brass Plate of your choice for just $30. Includes premium packaging, screws and rubber feet. Reserved. Please vote for colors you like. The GB has not started yet. I have no need for one of these... but I want one. Is silver in the list of basic colors? I'm interested in purple to match GMK Plum. Whats the best way to get notified on when the GB opens up? Just watch this thread? Just watch this thread and sign up for the newsletter on Mekanisk.co. Do you have pictures of a complete build from R1? Question for this and Fjell: Is the brass portion coated with something for protection, or does it require attention to keep from corroding/etc.? I read that brass can be high maintenance. Also is the Fjell going to be available again soon? Having a hard time deciding between this and a Fjell. Thank you! 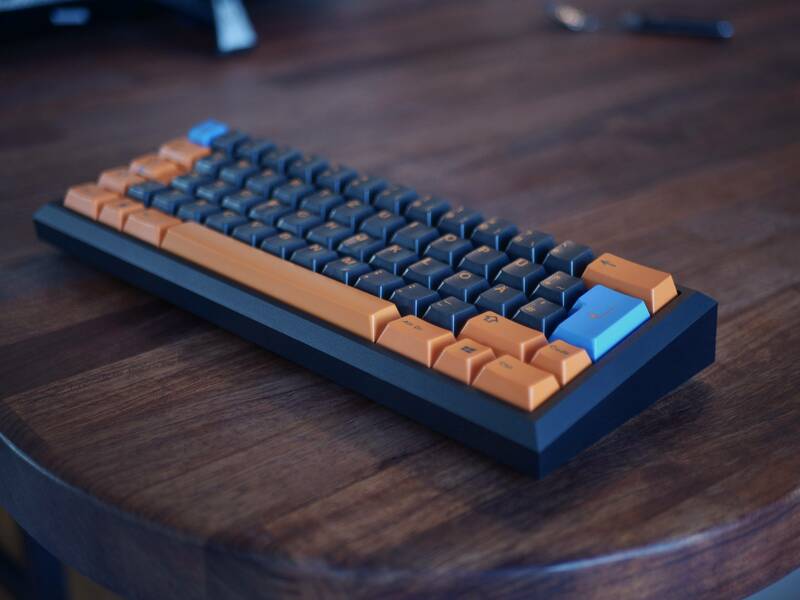 I managed to get pictures of a grey Klippe+ build on another forum. What size screws do you use for the weight? Interested but what kind of price are we looking at here? EDIT: Also does this support split space? Will it support USB-C PCBs or micro USB only? 3 day DHL shipping & handling, only $45. Shipping November 2018, no limit on orders. Guess you messed up the shipping timeframe. I hope you didn't mean November this year, though. I'd be happy with every color to match Godspeed with ares mods. When will this run? Can you give us an estimate so I can prepare? Thanks. Sorry if I sound impatient, but do you think that you can update the shipping date? It has yet to update. I'll leave a post here, so I don't forget about this. Great that Rose Gold is coming in strong! I hope that it matches Olivia over the many pink anodizations that claims to be rose gold. By the way, would I be able to use my own universal 60% polycarb plate w this? Grey and orange would be really nice! Will black be available also? will there be an alps plate option? Page created in 0.1 seconds with 49 queries.